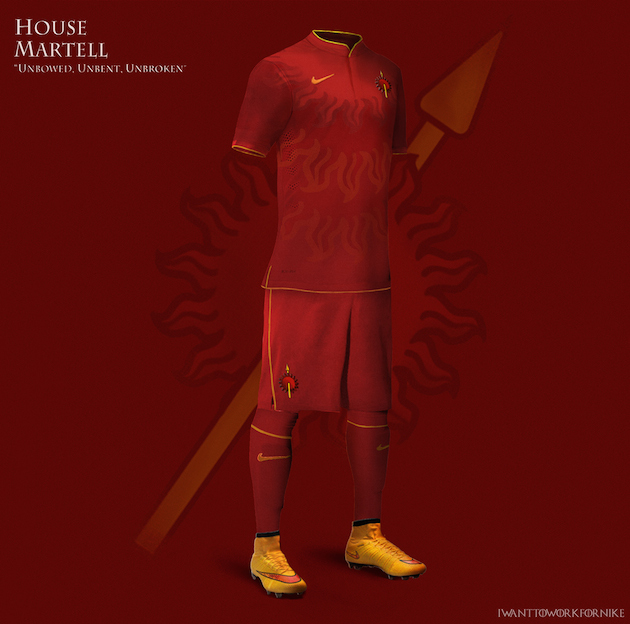 As we speak, the Brazilian A Seleção is gearing up to meet the Die Adler from Germany in the semi-final of the 2014 version of FIFA World Cup. 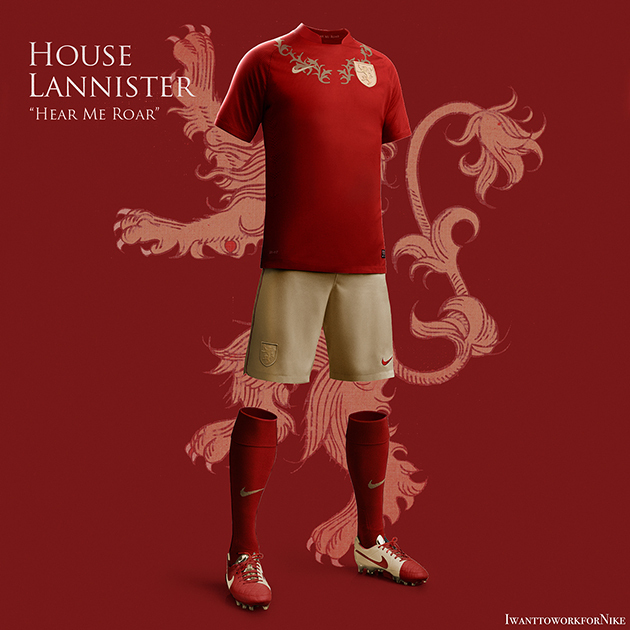 So, while the great powers of the footballing realm are whetting their skills for the ‘beautiful clash’, here is something for the Game of Thrones (or A Song of Ice and Fire) fans – designer Nerea Palacios has ingeniously contrived Football World Cup kits that are tailored to the thematic elements of many great Houses from G.R.R. 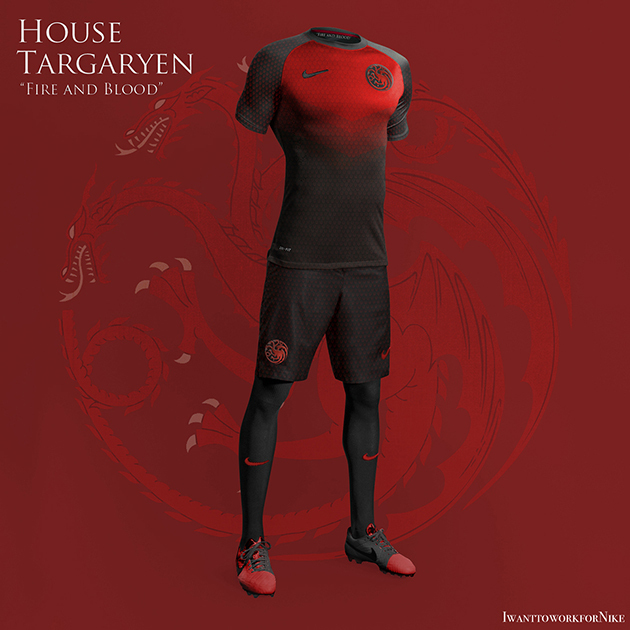 Martin’s dragon-dwelling universe. 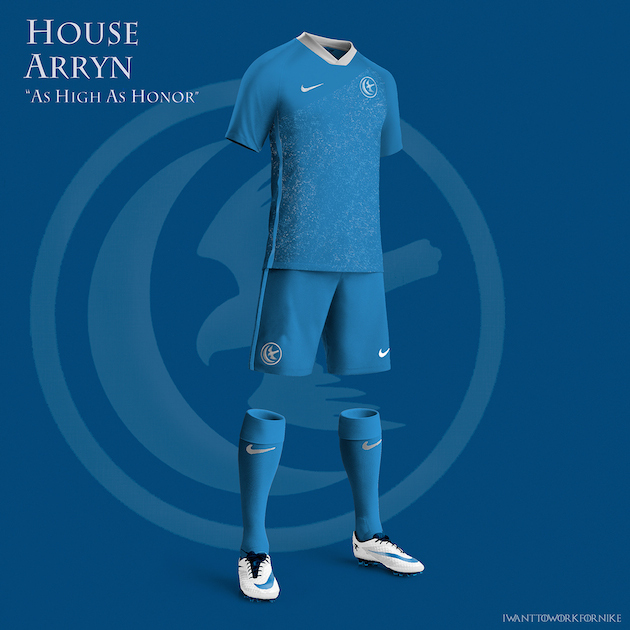 As we can make out from the above image, the first honor is given to the shadowy/zombie-making villains from across the icy-reaches of The Wall. 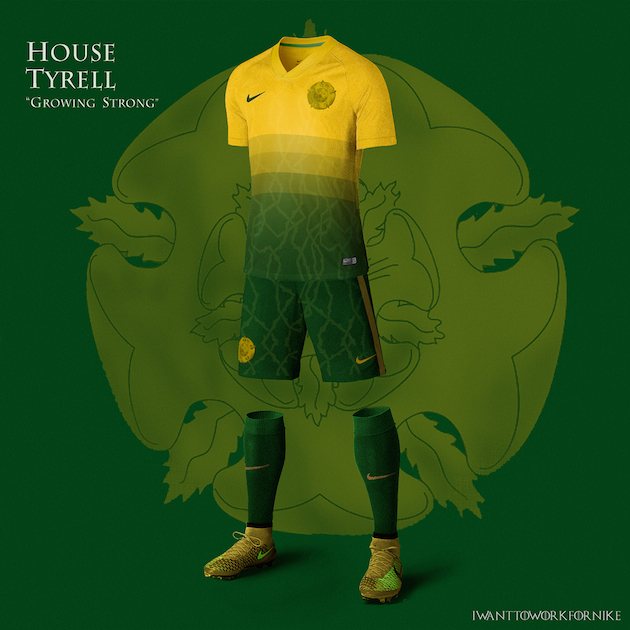 And, beyond just the ominous White Walkers, the crafty designer has given equally fashionable attention to the other great factions from Westeros, ranging from the noble Starks, the conniving Lannisters to the opulent Tyrells and the ever-dutiful Night’s Watch. 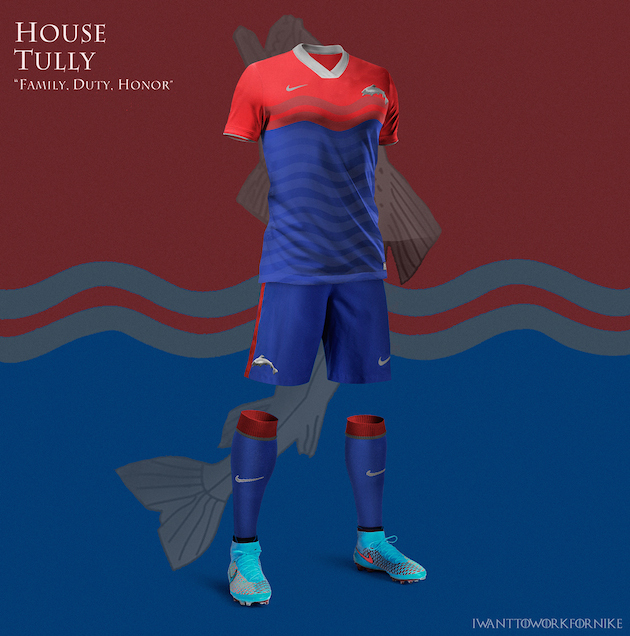 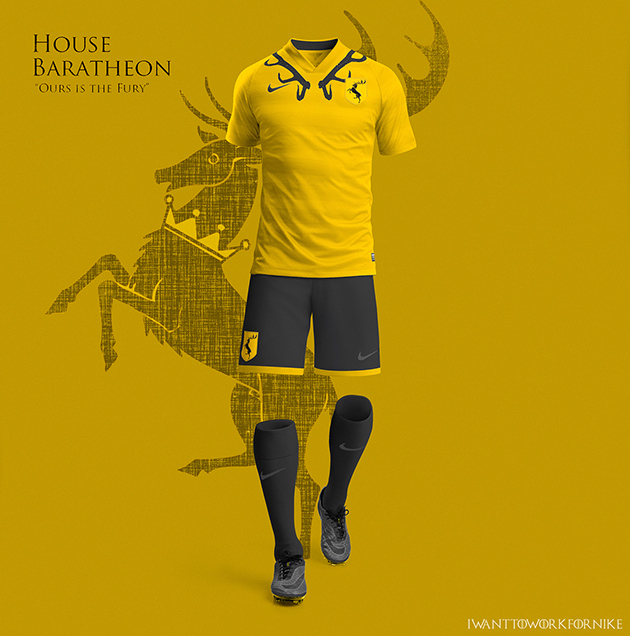 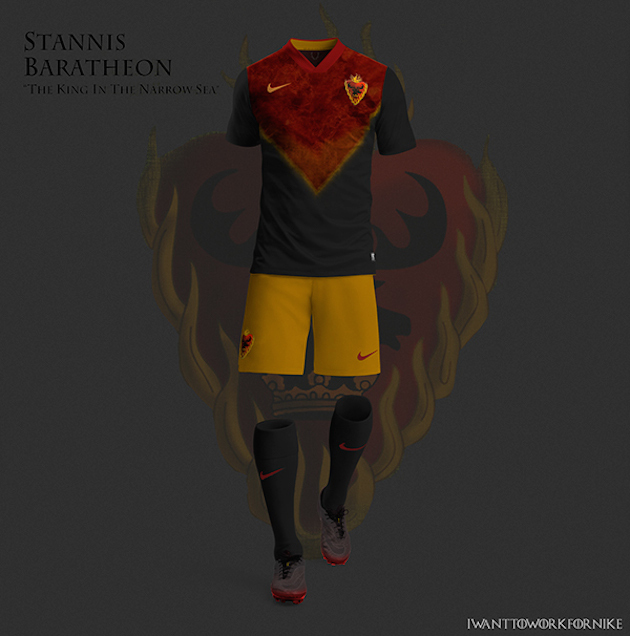 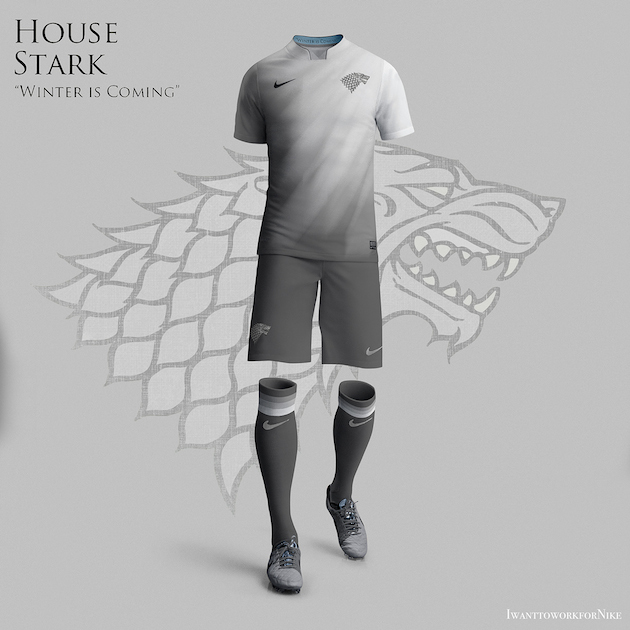 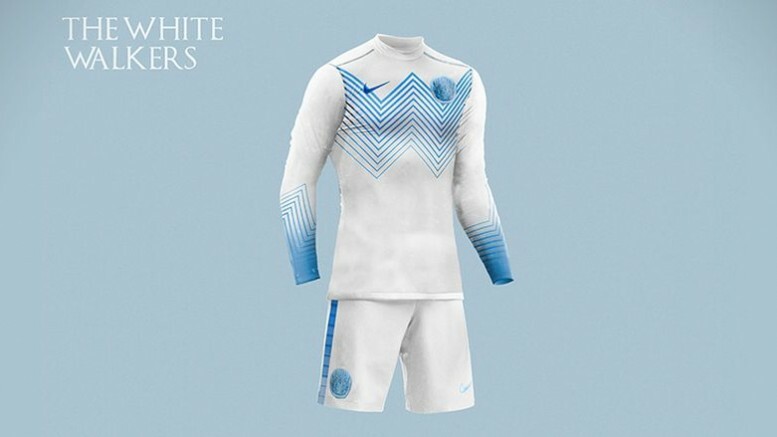 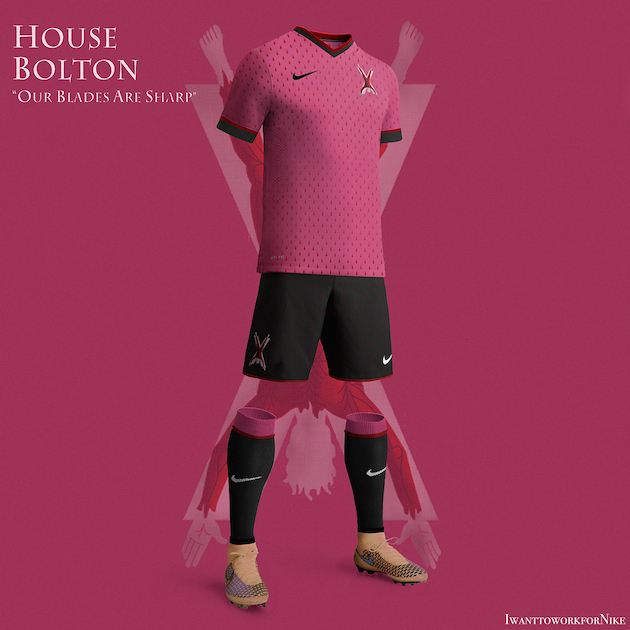 All of these Game of Thrones Football kits were resourcefully refurbished from original Nike kits. 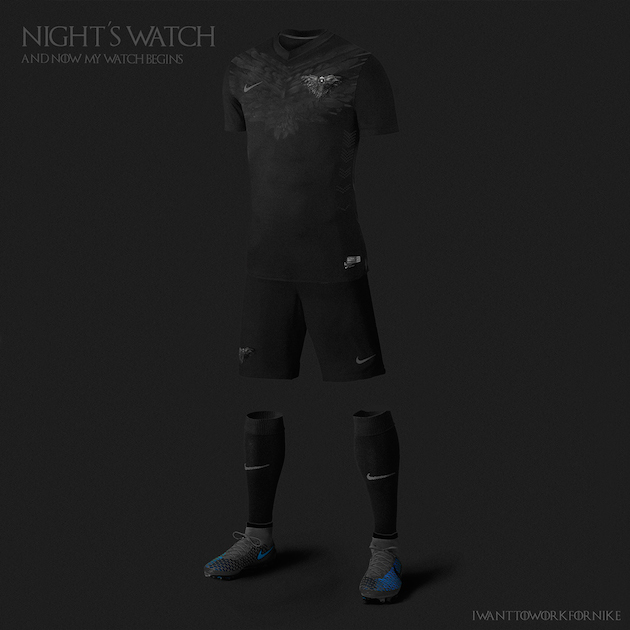 And, while Palacios was at it, he had also made a small request (see at the corner of each image) that simply says – ‘I WANT TO WORK FOR NIKE’ in the Game of Thrones’ cover font.